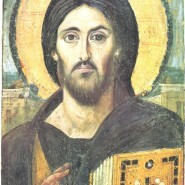 Transfer of the Precious Relics (438) of Our Father among the Saints John Chrysostom; January 27. 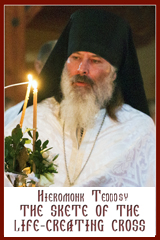 Troparion (Tone 8): The divine Church rejoices* and the whole world keeps feast with radiance* at the transfer of your relics, O venerable hierarch John Chrysostom. * Your life as bishop was godly and you willingly became a martyr. * Therefore we cry to you, O martyr, passion-bearer and hierarchs’ companion:* Pray to Christ God that our souls may be saved. Kontakion (Tone 1): The precious Church rejoices mystically at the transfer of your holy relics* and treasuring them as costly gold* it lavishly grants to those who hymn you the grace of healing,* by your prayers, O John the Golden-mouthed. Epistle:(Heb 7:26-8:2): Brethren, it was fitting that we should have such a high priest, holy, blameless, undefiled, separated from sinners, and exalted above the heavens. Unlike the other high priests, he has no need to offer sacrifices day after day, first for his own sins, and then for those of the people; this he did once for all when he offered himself. For the law appoints as high priests those who are subject to weakness, but the word of the oath, which came later than the law, appoints a Son who has been made perfect for ever. Now the main point in what we are saying is this: we have such a high priest, one who is seated at the right hand of the throne of the Majesty in the heavens, a minister in the sanctuary and the true tent that the Lord, and not any mortal, has set up. verse: The mouth of the just man shall meditate wisdom and his tongue shall speak judgment (Ps 36:30). verse: The law of his God is in his heart, and his steps will not falter (Ps 36:31). Communion Verse: The just man shall be in everlasting remembrance; of evil hearsay he shall have no fear (Ps 111:6-7). Alleluia! (3x).